Hashtags. 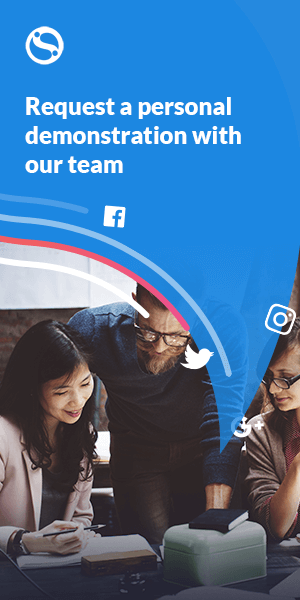 When used properly, they are a kind of glue that can hold your social media marketing campaigns together across networks and bring you new business. When used improperly, they can be the most annoying thing about social media, period. So what are the right and wrong ways to use them? The first thing you need to understand is that simply placing a hashtag in front of words doesn't make those words any more powerful. In fact, it can make them less powerful in some situations. There aren't many hard and fast rules for using them, but data suggests that there are a few guidelines you should definitely follow if you want to increase your SMM success rather than be #completelyannoying. The beauty of hashtags is their simplicity and their ability to unify your campaigns across social networks, your website, TV advertising, and more. Almost every commercial you see on television today has a hashtag displayed on the screen somewhere, which is a way for the brand to let you know that if you search for that hashtagged phrase online you will find out more information about whatever they are promoting. That could be a product, a service, a fund or donation drive, or just about anything else. While the hashtag started on Twitter, it has spread to every other social network and well beyond, becoming a staple of modern marketing. On the other side of the coin, there is no denying that it has been overused in the extreme by many people, as is hilariously portrayed in the now famous sketch by Jimmy Fallon and Justin Timberlake. Here's how to avoid that trap. It started on Twitter and it continues to be a driving force there, with trending topics almost always beginning with #. Although it's now been cited more times than some can count, the research on Twitter hashtags can't be overstated. According to it, tweets with one or two hashtags doubles the chances of engagement. Be careful though, because if you exceed two hashtags in a tweet your chances of engagement actually drop by 17%. There's a fine line between 2 and 3 with Twitter hashtags. It's also important to note how "engagement" is defined in this research. Only 22% of engagement with a brand's tweets are replies. However, 78% are retweets and a whopping 92% are link clicks. So if you include an appropriate hashtag or two in your tweets as a brand, you are massively increasing the chances of exposure and click-throughs on the site. Going from 10 to 20 - in retweets or link clicks - is a huge deal. Surprisingly, only about one quarter of the tweets they measured included hashtags in them. Now that you know the research, you'd be foolish not to implement it immediately. Facebook is another story entirely. 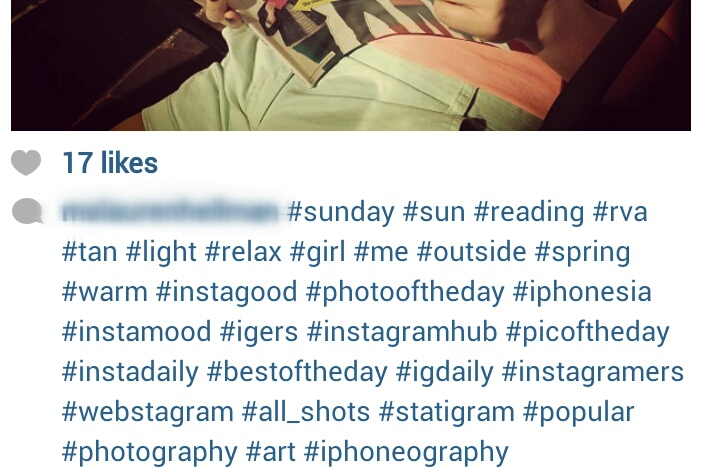 Yes, they allow hashtags and yes, people use them. Way too much. In fact, three months after adopting the practice research that used EdgeRank information found that Facebook posts with hashtags had less engagement than those without. Further studies from earlier this year show that, similar to Twitter, less hashtags mean more engagement. This means that using hashtags on Facebook is like a double-edged sword, and requires testing out your practices to see how your target audience responds. Concluding that you shouldn't use them on Facebook at all is probably not the best answer, since you lose the cross-network cohesion that will serve you better in the long run. Just keep them to one or two, just like Twitter, and use them wisely and purposefully rather than just for the fun of it. I know that there are probably some out there who are tired of hearing me prattle on about how great Google+ is. Especially since you don't hear much about it other than the standard line that "no one uses it but Google employees". Get over it. The key point is still, and always will be, that it is slowly but surely becoming the center of Google's universe, which makes it the center of the internet's universe, user count be damned. Let that sink in a second. If you post on G+, even if you don't use a hashtag, your post is automatically assigned a hashtag and made searchable through the largest search engine in the world. Are you really going to disregard that?Google does more behind the scenes than they do on stage in front of everyone, and the same is true of G+. With hashtags, they are working overtime. 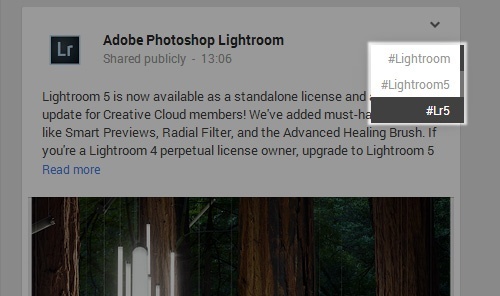 Even if you don't use a hashtag in a post on Google+, Google assigns at least one to your post using the post text and the headline of the link if there is one. Then they organize hashtags by category and add them to Google's searchable database, as well as using them to compile trending topics like Twitter and Facebook. Instagram is an outlier when it comes to hashtags. While the other sites give you a diminishing return if you use more than one or two, on Instagram the rule is the more the merrier. You can load up your pictures with an infinite number of hashtags, and the more you use the more likely you are to get them noticed, liked, and shared. The posts with the highest number of interactions have 11 or more hashtags attached, so go crazy. You don't want to just pick any word or phrase that comes to mind and create a hashtag from it. It's best to know what hashtags are already in use and in what context. It's very possible (it's happened more than once) that you could use a hashtag that you think fits your business or campaign perfectly, only to discover later that someone else has already been using it in a completely different context. Then you've wasted an opportunity. 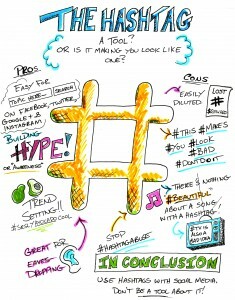 There are several tools you can use when deciding on a hashtag. 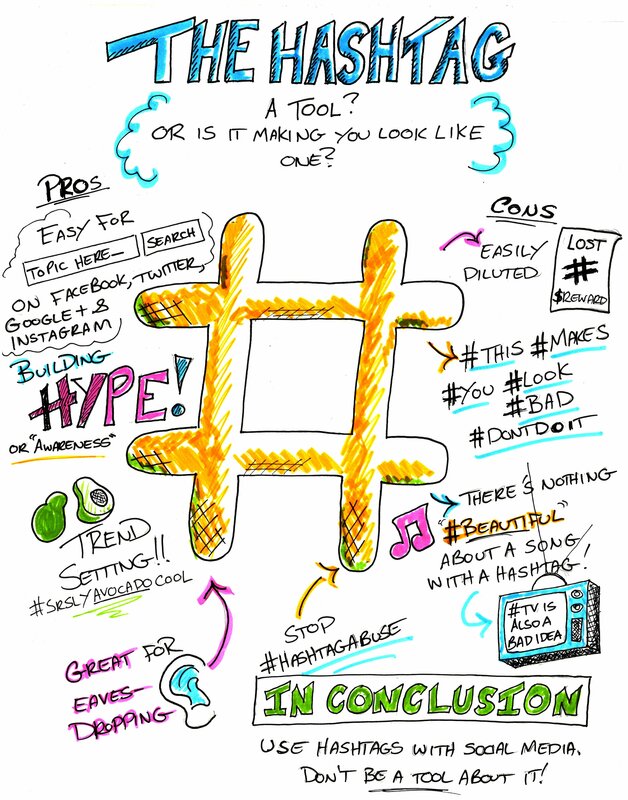 Hashtagify.me and RiteTag are good places to start. You can also browse the Twubs hashtag directory to find ideas and what is already in use. If your business benefits from local traffic, Trendsmap will tell you what are the most trending topics in your geographic location. To optimally use hashtags across the social spectrum, nothing is more helpful than a good social media management tool that will give you a single platform for distribution as well as a way to track and analyze your campaigns with reporting. 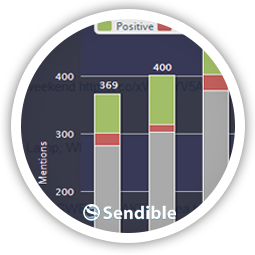 Sendible's platform is head and shoulders above the rest in scheduling, cross-posting, and almost every other area you could think of. To learn how to use our brand and keyword monitoring feature to track your hashtag campaign, see this post. 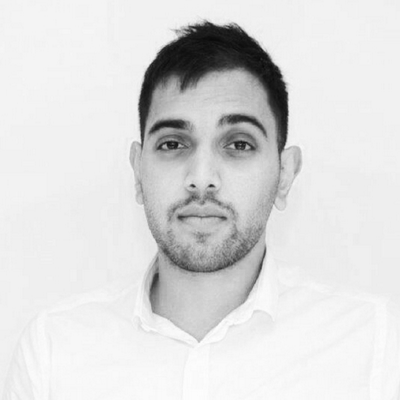 Vishal Pindoriya is a social media enthusiast, strategist and writer. He lives in London, England and is particularly interested in the proliferation of social media around the world. Previous story How much is too much? How often should you be posting to Facebook, Twitter, LinkedIn and others?